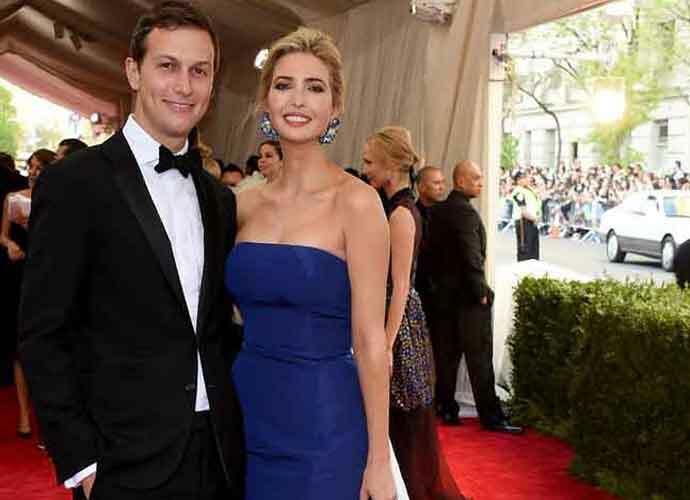 President Donald Trump‘s campaign spent almost $100,000 of donor money on a law firm representing Trump’s senior adviser and son-in-law, Jared Kushner, it was reported Friday. According to campaign finance records, Trump’s 2020 re-election team issued two payments — equal to $55,330 and $42,574 — to Winston & Strawn. These disbursements to Kushner’s lawyer, Abbe Lowell, were reportedly made to cover legal fees. Kushner, 38, is believed to have a net worth of more than $300 million. In October, The New York Times revealed that Kushner — who comes from a real estate family — earned more than $1.7 million in 2015 before joining the Trump Administration. Although he has not been formally accused of any criminal activity, he is one of several Trump associates to have been interviewed extensively by Special Counsel Robert Mueller in the investigation on Russian interference during the 2016 election, and alleged collusion between Trump campaign officials and the Kremlin. In April, Kushner was named as a defendant in a civil suit filed by the Democratic National Committee (DNC), which alleged an international conspiracy regarding Russia’s efforts to meddle in the 2016 campaign. Other defendants in that case include Donald Trump Jr., WikiLeaks and the Kremlin. According to ABC News, Trump’s campaign has spent over $6.7 million in legal fees over the last two years for previous and current associates. Among those people were Trump’s former personal attorney Michael Cohen and the president’s former campaign manager, Corey Lewandowski. Trump’s campaign has received hefty donations over the years from high-profile individuals like Sheldon Adelson, Mar-a-Lago member Anthony Lomangino and California real estate developer Geoffrey Palmer, according to disclosures filed to the Internal Revenue Service. Last year, it was reported the Republican National Committee paid nearly $590,000 to a law firm representing Trump’s former communications director, Hope Hicks. Last February, Hicks appeared before the House Intelligence Committee for an interview on Russian meddling in 2016.